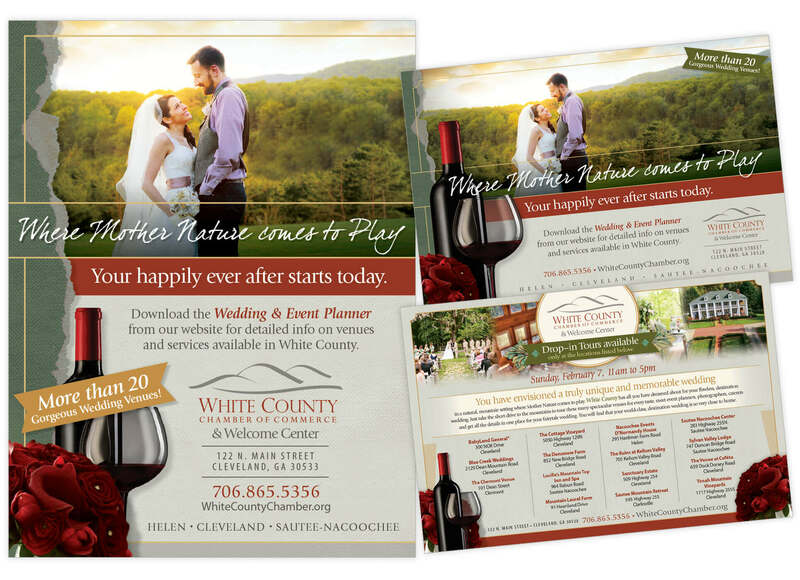 White County was perceived as a small community that did not offer a lot of attractions for visitors to enjoy. 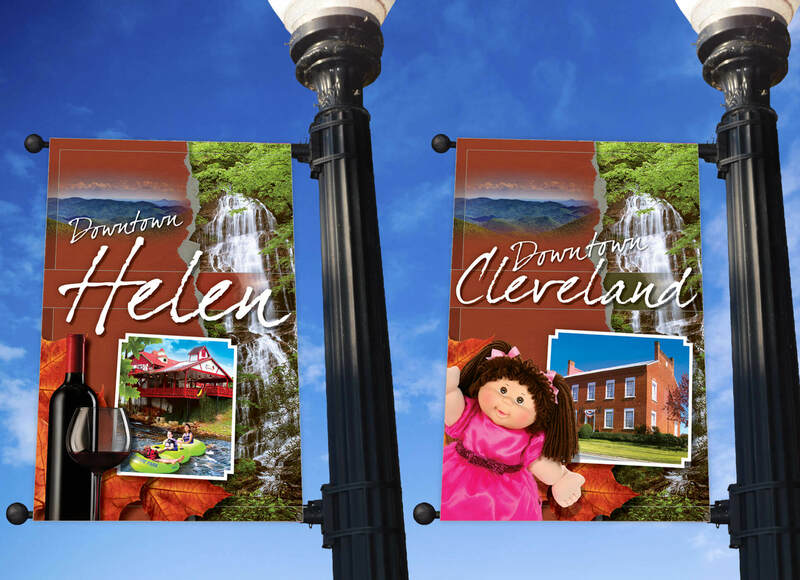 White County’s community leaders needed to reverse the negative connotation that was given to it as a small, sleepy community, and unveil the many attractions, especially the area’s natural wonders, that were available year-round and at any time of day. 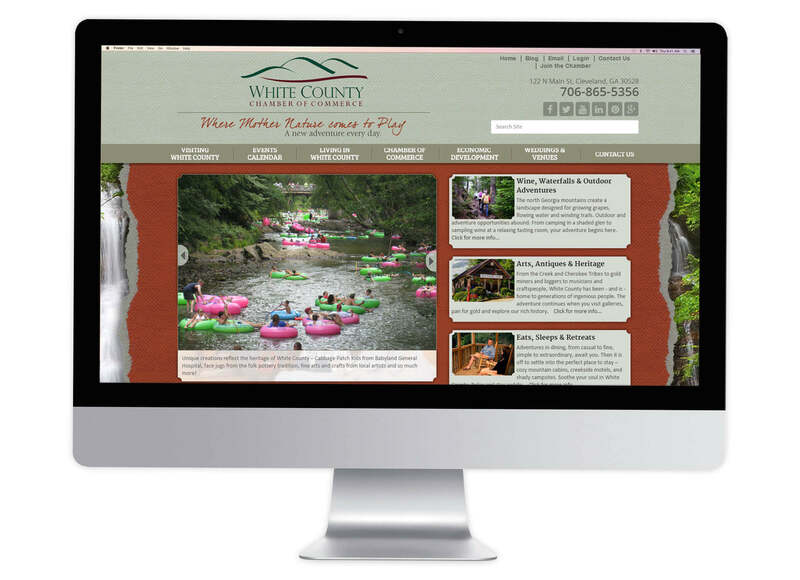 White County is attracting visitors by highlighting the area’s natural wonders, attractions, and opportunities with the new tagline “Where Mother Nature comes to play, a new adventure every day.” This tagline evokes the idea that this small community offers an abundance of adventures from hiking up mountain trails to visiting area waterfalls. 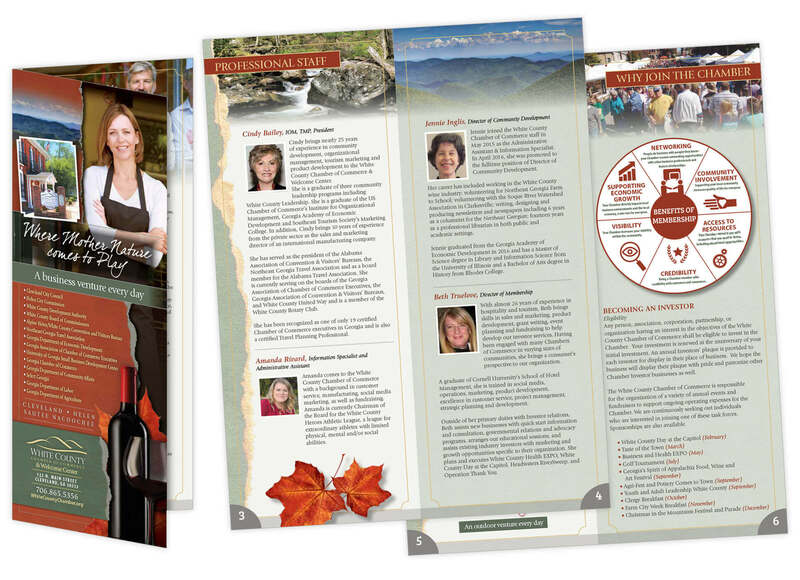 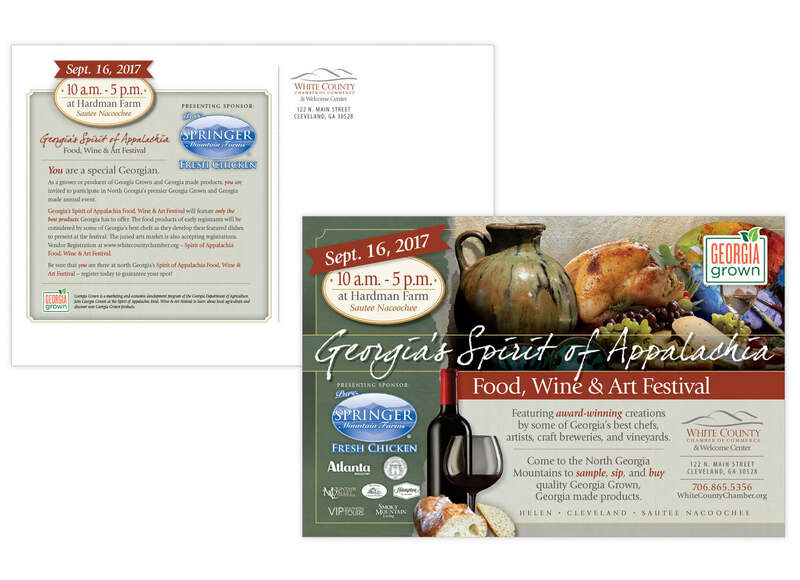 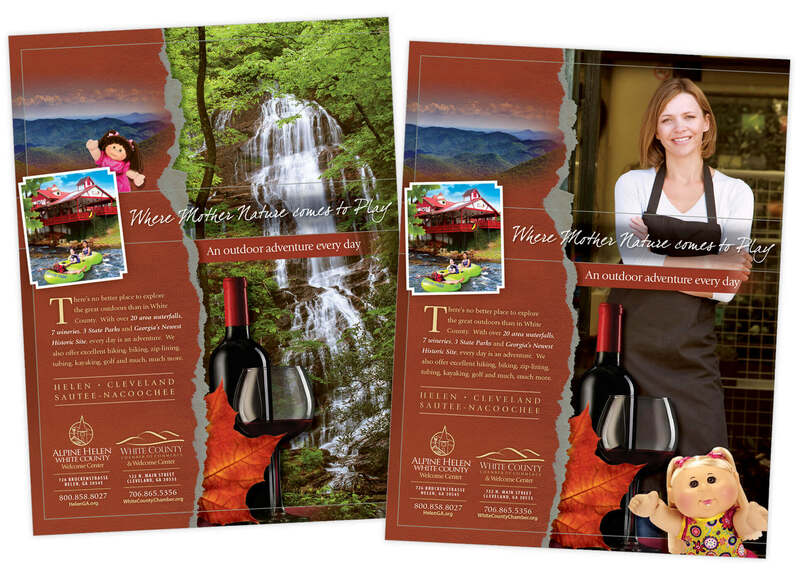 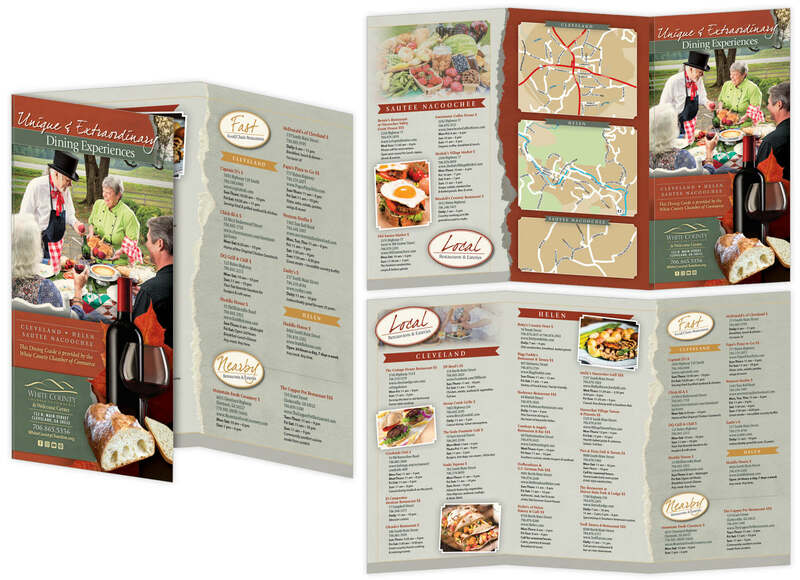 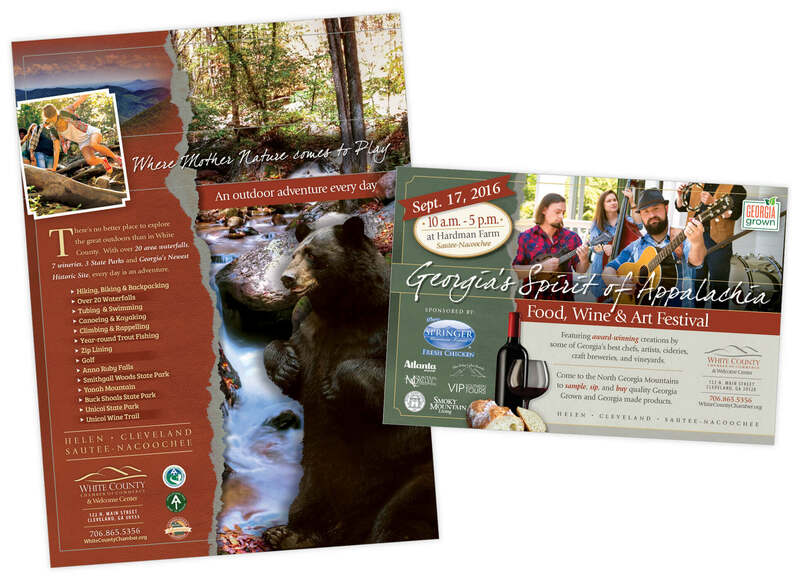 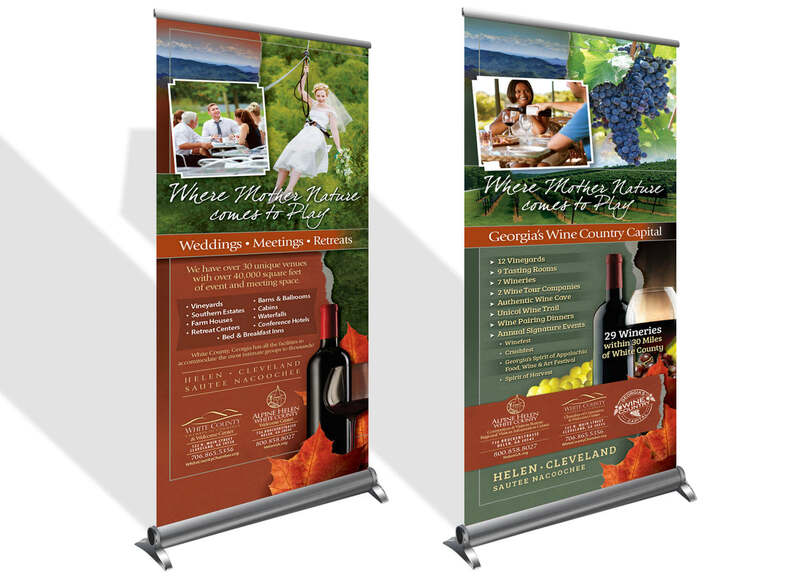 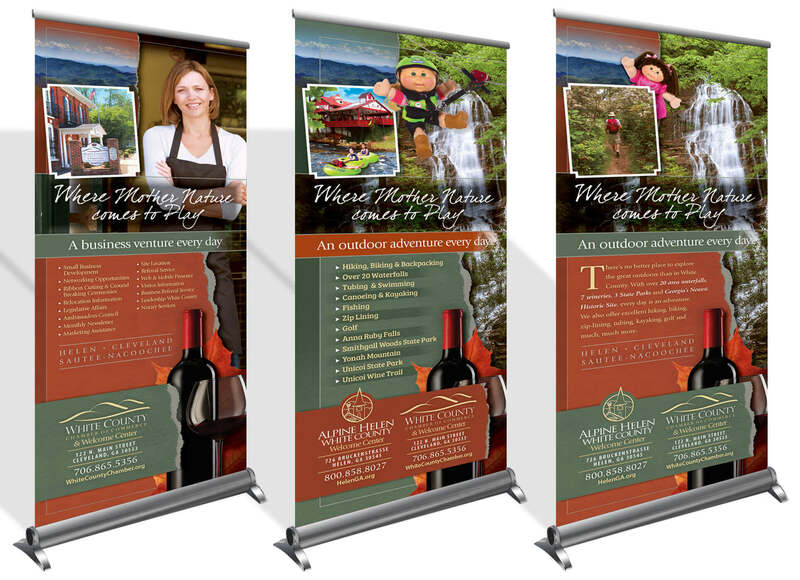 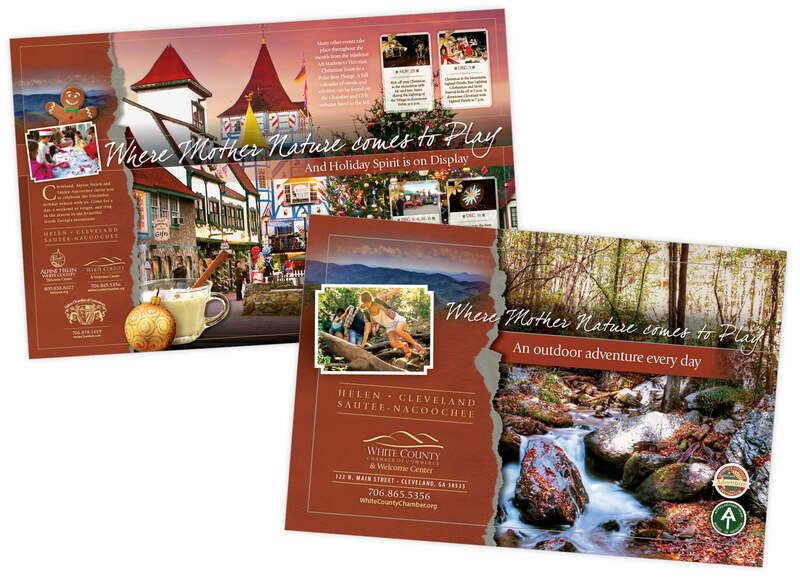 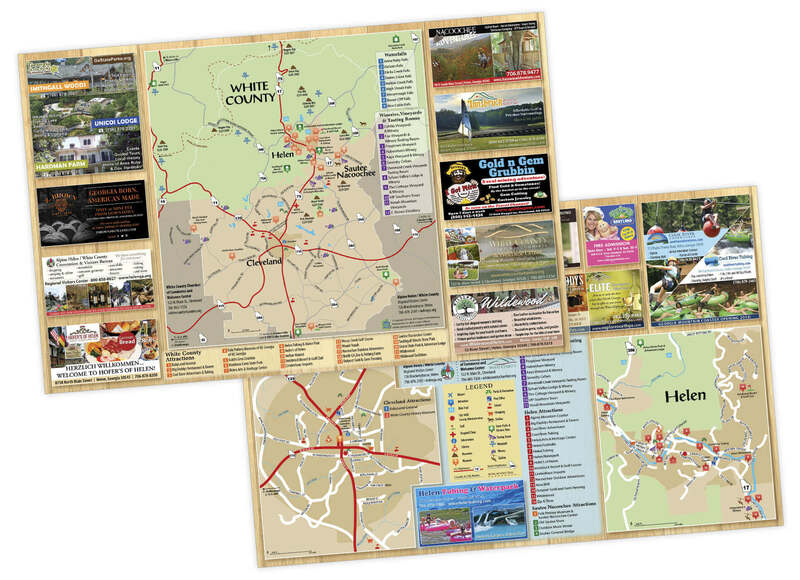 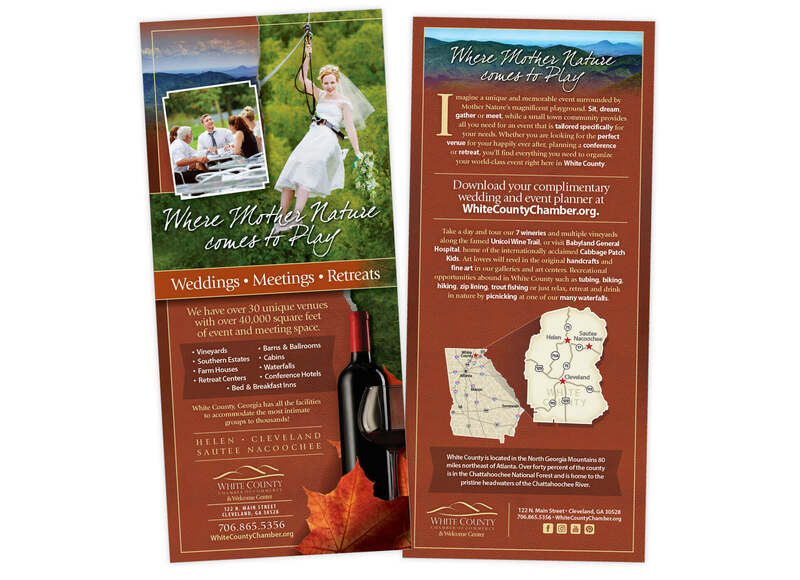 Since the tagline was developed, we have created a print campaign featuring several ads for the community, which have been featured in prestigious magazines including the Georgia Travel Guide, banners to be hung on the lamp posts in downtown areas, postcards, and a road map.